Newron Pharmaceuticals is a biopharmaceutical company focused on the development of novel therapies for patients with diseases of the Central Nervous System (CNS) and pain. Biognosys provides innovative services and products for protein discovery and quantification using cutting edge technology, providing one of the best solutions to support researchers in their protein analysis needs. InSphero is a biotech company bringing more biologically relevant insights to in vitro testing of your new drugs. Mymetics is developing preventative vaccines using both virosomes as an effective adjuvant and vaccine delivery method, and an innovative antigen design to generate mucosal antibodies. 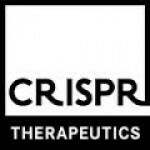 CRISPR Therapeutics is a biopharma company translating the CRISPR-Cas9 genome-editing technology into transformative medicine to cure serious human diseases. Calypso Biotech is a biotech company developing antibody therapies up to clinical proof-of-concept by leveraging its expertise in immunology and drug development. Calypso Biotech’s portfolio consists of two therapeutic antibody programs planned to reach the clinic by 2016-2017 against gastro-intestinal auto-immune syndromes such as Crohn’s and Refractory Celiac diseases. BioTek is a global leader in developing and manufacturing microplate instrumentations and software to facilitate drug discovery process and life science research. AMSBIO proposes one of the biggest range of tissue products from a single source (RNA, DNA, protein, tissue sections, arrays, etc…). These tools are available from diseased or normal sources.